Drain King Inc. Serving Bloomington, MN | Drain King Inc.
At Drain King Inc, we strive to offer the highest quality sewer, and drain cleaning services in Bloomington, MN and the nearby areas. We are pleased to be one of the leading sewer and drain cleaning companies offering fast and efficient residential and commercial services. We offer a full line of residential and commercial drain cleaning, sewer cleaning services. Our highly trained and fully experienced technicians offer dependable services at competitive rates for the best possible value. Drain King Inc. can handle any problem large or small for your home or business in Bloomington, MN. We offer sewer cleaning, sewer inspection, grease trap inspection, septic plumbing, excavation, frozen sewer line repair, unclogging drains, faucets, toilets, storm drains, and more. With our affordable, preventative maintenance plans, you can have confidence that your systems will always be in the best condition at all times. Drain King is the most trusted sewer & drain cleaning company in the area offering professional services for our residential and commercial customers throughout Bloomington, MN. If you need an emergency drain cleaner who will arrive on time with all the right equipment, look no further than Drain King Inc. We are dedicated to offering superior service and honest rates for all of our customers. Contact us for fast and efficient services at a price that meets your budget. 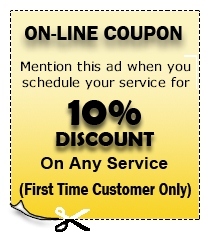 You can get a free estimate or find out more information by calling us at (763) 786-3000. We look forward to serving all of your sewer, and drain cleaning needs.